Krishna Kripa LLC is a Limited Liability Company based in the USA. It is an independent US company, and is not affiliated with any other organization in any way whatsoever, religious or otherwise. Its main purpose and goal is to help facilitate and promote the message of individual spirituality and peace through Hinduism and to awaken Hindus worldwide to their treasure of Hinduism in the process. Hinduism Matters! It matters a great deal indeed! It is our aim to promote Hinduism and everything wonderful it stands for through the book series "hindus Awake!" 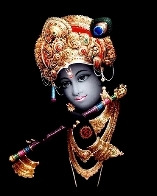 and our web-sites, hindusAwake.com and KrishnaKripa.net. It is our aim and purpose to awaken Hindus worldwide to their treasure of Hinduism through the dissemination of appropriate information of the aatma, the paramaatma, karma, and so on. Hindus, "Question Your Complacency" and please do "Read for a Change" - true change - in your life. See why we firmly say that Hindu Pride Rules! Hinduism and its principles of spirituality without oppression, peace and stability through ahinsa and non-violence, family-oriented life, patriotism and so much more is extremely valuable today - discover genuine peace and happiness that lasts for eternity!